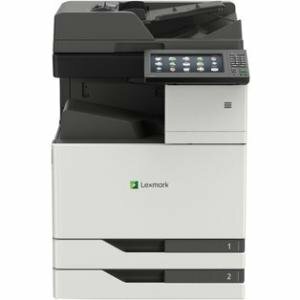 Full-featured A4 overachiever challenges color A3 specs The Lexmark CX860dte color letter/A4 MFP combines print speed of up to 60 (57 A4) pages per minute, ease of use, professional color and standard input capacity of up to 1750 pages with available finishing options. 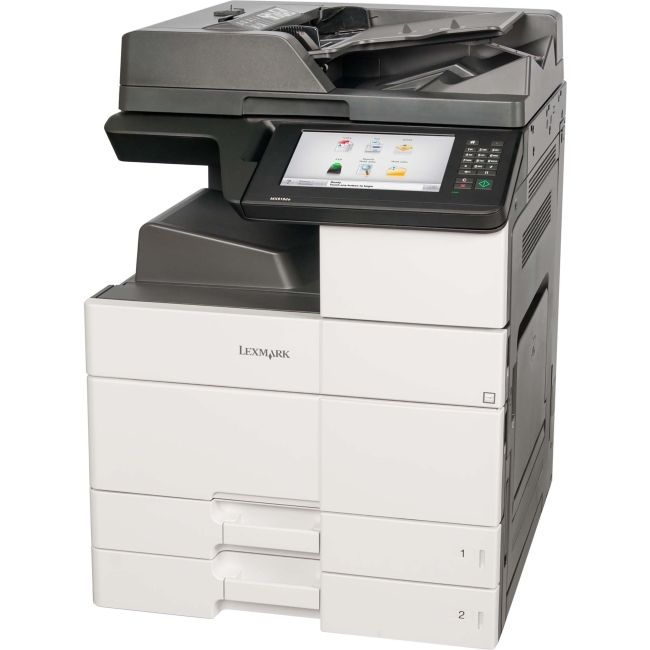 Production-class performance A 1.6 GHz quad core processor with 2 GB of standard memory helps the CX860 Series handle complex jobs, while print speed of up to 60 ppm allows users in high-volume print environments to get fast color output. 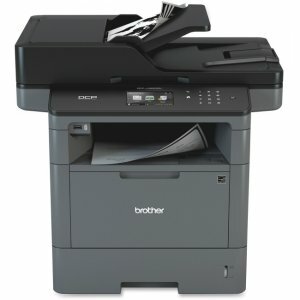 Even large color print jobs complete quickly so users are more productive. 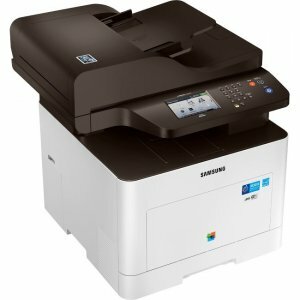 Professional color Professional color features include ultra-sharp 4800 Color Quality, PANTONE® calibration and spot color replacement for repeatable color accuracy even with critical corporate identity elements. 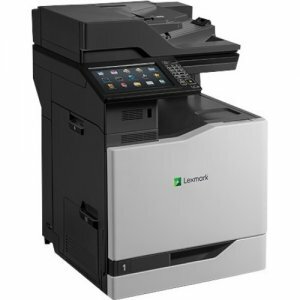 eSF flexibility with multi-touch screen Lexmark-exclusive Embedded Solutions Framework (eSF) makes the MFP programmable to meet the needs of each customer and industry. 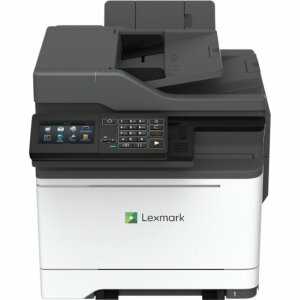 And the CX860 Series' 10-inch class e-Task color touch screen features an ultra-smooth surface that can be activated by almost anything, including pens, fingertips or nails--without pressure or direct skin contact. 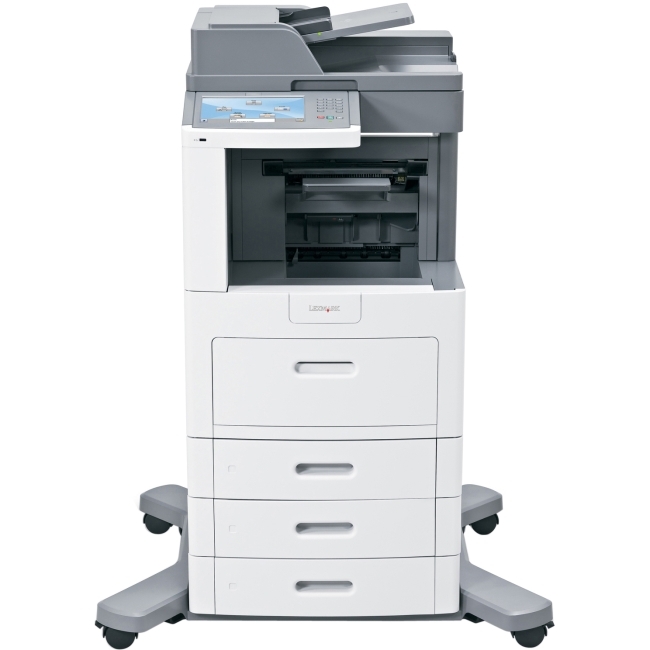 Advanced media handling It starts with standard input capacity of up to 1750 pages (expandable to 4500) and prints on the broadest media weight range of any letter/A4 color laser MFP--from tissue-thin paper to thick card stock. 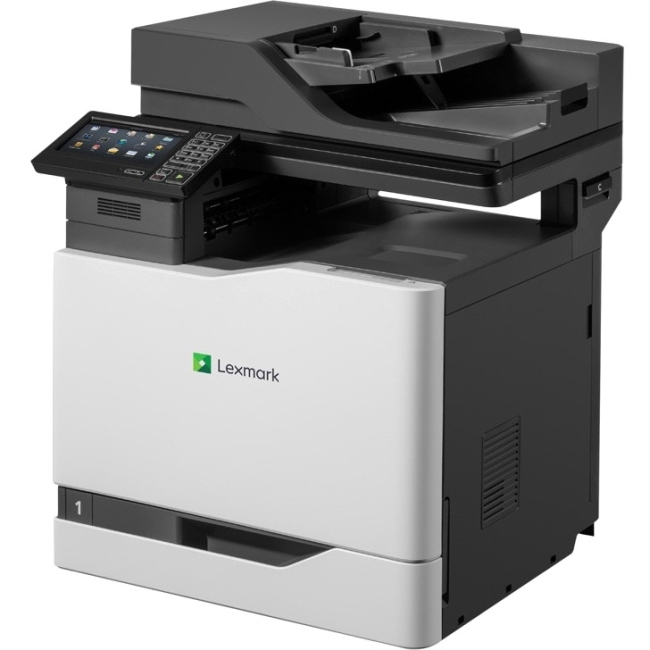 Add a compact inline staple finisher or multi-position staple/hole punch finisher. 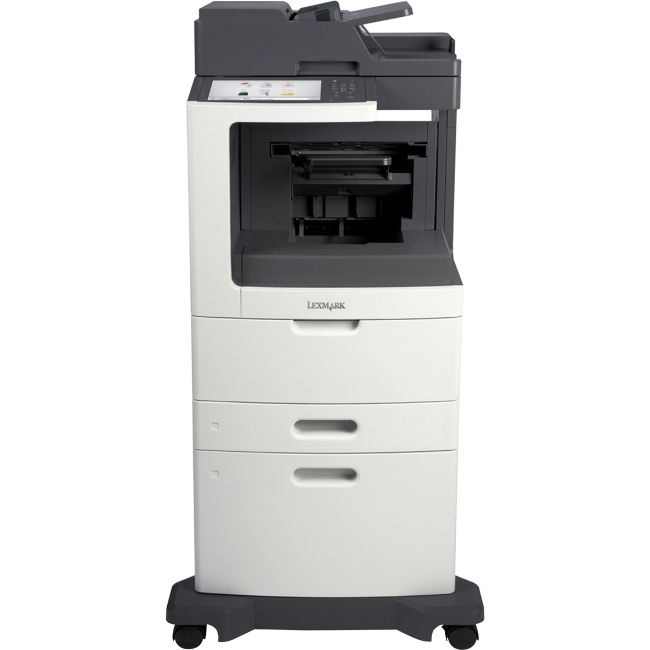 Multi-touch screen The CX860's 10-inch eTask with Smart Touch Technology color touch screen is very responsive and multi-touch capable with pinch, zoom and flick gestures, much like a tablet. Top-tier scanning It starts with 1200 dpi CCD-based scan quality for color and information accuracy, then adds automatic size sensing and ultrasonic multifeed detection to ensure that every page intended for archiving or integration into your digital workflow is successfully scanned. 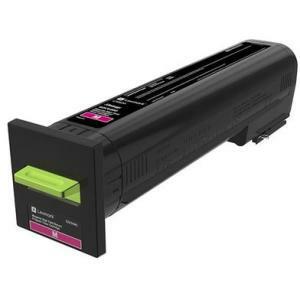 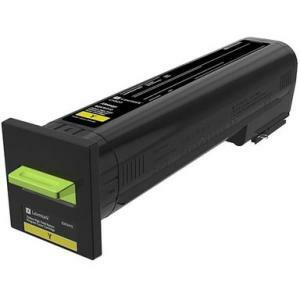 Long-life components and high-volume toner Minimizing maintenance reduces downtime, so the CX860 features photoconductor units that last up to 175,000 pages, and replacement toner rated at up to 55,000* black and up to 55,000* color pages. 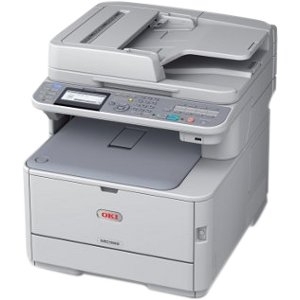 *Average continuous black or continuous composite CMY declared cartridge yield in one-sided (simplex) mode up to this number of standard pages in accordance with ISO/IEC 19798.